Born and raised in Las Vegas, Dr. Daffner escaped the desert and moved to Redondo Beach in 2010. She purchased Family Pet Clinic of Redondo Beach in 2012 and has loved every minute of business ownership. Dr. Daffner received a B.S. from University Nevada Las Vegas in 1987 and then her professional veterinary medical degree from Colorado State University in 1991. She considers herself a 'family practitioner' and she celebrates the bond between humans and their furry friends. Her medical passions include geriatric medicine, ultrasound, dentistry, cold laser therapy, chemotherapy, and specialty surgeries for bulldogs such as soft palate resection, entropion, stenotic nares, and corkscrew tail amputations. She proudly became Fear Free Certified in 2017! In her spare time she reads, plays lots and lots of tennis, loves and adores her three pups, Cozy and Dexxie, and Hercules, and enjoys a glass of good red wine with a delicious home cooked meal. Craig grew up in Southern Idaho. He earned his bachelor’s degree in finance from Boise State University. Prior to joining Family Pet Clinic, Craig worked for a Fortune 100 company in several states throughout the Pacific Northwest. He was then promoted to manage his company’s Los Angeles market, where he earned “Manager of the Year” honors several times. Craig has a background in marketing/sales, human resources and operational management. One of Craig’s biggest tasks has been the complete remodel and branding of Family Pet Clinic. On his days off, he enjoys tennis and riding his motorcycles. Born and raised in Denver, Colorado as the oldest of 9 children. She received her BS in Animal Science in 1977 and graduated with her veterinary degree in 1981 from Colorado State University. Due to a lack of jobs in Colorado at the time, she came to California for a short time to get experience and has remained here ever since. She has been at Family Pet Clinic since 2002. In her spare time she clogs on an exhibition team called Cripple Creek Cloggers and is involved at her church working with children. Born and raised in southern California, Dr. Randall has called other places home including: New York, Michigan and Indiana. She completed her Bachelor’s degree in Environmental Biology and Management from UC Davis in 2002. In 2009, she relocated from California to attend Purdue University College of Veterinary Medicine and completed her degree in 2013. She joined Family Pet Clinic in 2014. Dr. Randall enjoys traveling, running, hiking, kayaking, knitting, cooking and anything that involves her husband and son! She is excited to be part of the Family and provide professional, compassionate care for members of your family. As a child, Dr. Joyce Wong always wanted to learn everything she could about whatever animal she was interested in at the time. As she got older, her love of science started to bloom. She chose the veterinary profession because it allows her to exercise her passion for the sciences while working directly with the animals that she loves! Dr. Wong was raised in the Los Angeles suburbs and attended UC Davis to study animal science. She worked as a veterinary technician for two years after graduation, then returned to UC Davis for veterinary school. Dr. Wong has special interests in opthalmology and small furry exotic mammal medicine (rabbits, guinea pigs, rats, mice, chinchillas, and ferrets). She is also passionate about animal behavior and loves strengthening the bond between pets and people by improving mannerisms and mood. When she isn't caring for pets here at Family Pet Clinic, Dr. Wong can be found playing Ultimate Frisbee, traveling, spending time outdoors, or hanging out with her terrier mix Noodle. Born in Denver, Colorado then later raised in Torrance, CA. She earned her B.S in Marine Biology at UCLA and her Doctorate in Veterinary Medicine at Western University of Health Sciences in California. Shortly after graduating, she moved to Tucson, Arizona and began her veterinary career at a local emergency hospital, then transitioned to a small animal practice setting. After being away from the south bay for 4 years, moved back home and joined Family Pet Clinic in 2015. Dr. Hanna has a passion for increasing mobility in senior pets and certified in acupuncture. When she is not caring for your pets, she enjoys having outdoor adventures with her husband, baby and dog, learning new recipes from cuisines across the world, traveling, and enjoying the California sun. After growing up in Texas and attending Texas A&M for her undergraduate work in Biomedical Sciences, Dr. Storm graduated from Cornell University College of Veterinary Medicine in 2006. She gained a wealth of experience by completing an internship in small animal medicine and surgery before realizing her love of the family practice setting. One of her favorite parts of veterinary medicine is developing a bond with both her patients and their people, and working as partners for the best care of the pet. Dr. Storm relocated to the South Bay area in 2017 and joined the team at Family Pet Clinic; she is honored to be able to care for animals and can’t believe she gets to do it surrounded by such natural beauty! Dr. Storm is married to her high school sweetheart and they have two amazing children. Dr. Storm loves cooking, yoga, hiking, and after moving away from her veggie garden she is filling the void with sailing and her new boogie board. Dr. Carroll grew up in Tampa Bay Florida. She received her BS in Zoology and Animal Sciences from the University of Florida in 2004, followed by her Doctorate of Veterinary Medicine from the University Of Florida College Of Veterinary Medicine in 2008. Dr. Carroll then traveled to Colorado to continue her training through completion of an internship focused on internal medicine, emergency medicine, and surgery. In 2015 she received her Certification for Small Animal Acupuncture from the Chi Institute. Dr. Carroll’s strongest interests include geriatric medicine, alternative pain therapies, hospice care, endocrine disease and feline medicine. She has practiced family medicine all over the US, including New York, Oregon, Colorado, and North Carolina but feels happiest here in sunny California. For fun she enjoys gardening, raising monarch butterflies, hiking, singing show tunes, and playing with her bunny Gordon, her pup Tiny Man, and her cat Tuna all while chasing around her crazy toddler! Joyce has been working in the veterinary field since 1995 and was thrilled to join the Family Pet Clinic family in February of 2012! Pets have always been a huge part of her life and she can't imagine working in a more rewarding field. Joyce believes that pets enrich our lives beyond measure. She feels the team at Family Pet Clinic truly inspires her to do her best for clients and their furry family members. 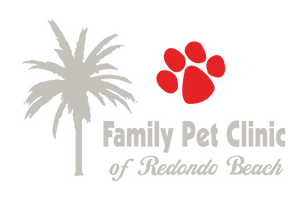 I have been working at Family Pet Clinic since 2009. I bring my dogs Sage and Obi to work with me everyday. I love my job, and enjoy accomodating our clients and their pets. I have been working at Family Pet Clinic since May of 2013. I bring my dog Vin with me everyday to work, so stop by and say hi to us! Born and raised in Southern California, Ali began her journey into the animal care field in 2009 starting as a certified veterinary assistant. With a strong desire to pursue further education in the field, she attended night school. Ali then passed the state and national board exams to earn her the title of Registered Veterinary Technician. One of Ali’s passions is veterinary dentistry. She also plays a key role in inventory management for the clinic. In her spare time, she enjoys training for marathons, being outdoors, and all things squirrel. Lysken has always been a huge animal lover. She grew up in the country taking in any strays and injured wildlife that came her way. I have been working at Family Pet Clinic since December 2006. Lysken returned to school in 2009 with a desire to know more about the animals she worked with and helped to treat. She enjoyed being taught things like how body systems work, nutrition, x-ray, anesthesia, and medical procedures such as dental cleanings. Lysken passed the California exam in 2012 earning me the title of RVT (Registered Veterinary Technician). She continue to work with a team who treats all animals like their own pets and She's loving every moment of it! Megan was born and raised in Redondo Beach. She always had pets growing up, and has been working in animal hospitals since she was 15 years old. Brystol a passion for the health and welfare of dogs and cats. I have a beautiful Pit Bull named Tess. When not at work, I enjoy exercise of all forms, hiking, and spending time with my family. I enjoy working at Family Pet Clinic because it allows me to see a wide variety of different types of dogs and cats every day…. It’s important for me to trust my veterinarians and I love that Tess can get her medical care here! I am a graduate of South High School in Torrance. I became interested in animals while growing up with my own pets. I especially like dogs. I have 3 of my own, all Bichon Frise. Lacy was born and raised in Redondo Beach and has always had a special love for animals. In 2007, she started at Family Pet Clinic as a volunteer. A year and a half later she became an official part of the team! In 2013, she began attending Cal Poly San Luis Obispo where she earned a Bachelor’s Degree in Animal Science. After graduating she quickly began to pursue her future of becoming a Registered Veterinary Technician. She proudly earned this title in April 2018. In her spare time she enjoys going to the gym, zoos and aquariums and hanging out with her rat, Wilson. My name is Kim. I started working for family pet clinic in October of 2014 . I've been in the veterinary field for over 18 years and this job is by far the best. I'm recently married and combined we have 2 dogs 3 cats 4 adult children and 5 grandchildren . Ive been a resident of Redondo beach all my life and love it. Ron was born and raised in Southern California. He has always enjoyed walking and feeding pets so, it was a natural for him to work in the veterinary field. On his days off, Ron enjoys DJ'ing and watching the Lakers! Go Lebron! I have been in the veterinary field since 2005. I have been a CVT/RVT since 2010 and love working with animals, especially cats. I have 2 of my own cats (yuki and kyo). I started working at Family Pet Clinic in October 2015 and I have never been happier! This opportunity has been amazing and I have learned so much in such a short amount of time. It's so great to work with such supportive and awesome coworkers! I have my BS in Animal Science from Cal Poly SLO and am currently studying to become an Registered Veterinary Technician. Animals are my life and I can't wait to make a career out of helping them! Erika graduated in 2013 with a degree in Applied Science in Veterinary Technology. She received her RVT license right after graduation, and has practiced medicine in New York, Colorado, and California. She is a strong advocate for the 'pit bull' type breeds, and works hard to change societies perception of these inherently good dogs. When she's not in the office, Erika enjoys hiking, skiing, camping, and exploring the wilderness with her husband Wade and her Staffordshire Bull terriers, Shorty and Caddy. I was raised in Redondo Beach and graduated from Redondo Union High school in 2010. Animals have always been apart of my life ever since I was born. In 2013, I became certified as a Veterinary Assistant from SCROC (Southern California Regional Occupational Center) and started working at Family Pet Clinic in March 2013. I was born and raised in the South Bay. I like spending time with friends and family and love working out at the beach with my four legged son Charlie. Emely was born and raised in Redondo Beach. She was drawn to veterinary medicine from her love of animals and her desire to help pets live a healthier life. Emely was drawn to Family Pet Clinic for years as she took her own dogs as a client and the reputation Dr. Daffner has for treating English Bulldogs. Emely's hobbies outside work are mostly being physically active by hiking, playing sports and the gym. She also enjoys working on cars and any other activities that she can be hands on with. Emely also has 3 English Bulldogs of her own. Brystol was born and raised in the South Bay. She was drawn to grooming and veterinary medicine because of her love for animals and concern for their well-being. Outside of work, Brystol enjoys playing softball, reading, and hiking. She has 3 dogs and 1 cat at home. Brystol enjoys making a difference in animals lives every day. John was born in Torrance but moved to Redondo Beach when he was 9 years old. His family encouraged him and influenced his decision to work at a veterinary clinic and pursue his dreams as a veterinarian. John has a large number of family members already in the field of veterinary medicine. John enjoys being able to help not only animals but clients who come in with concerns. Outside of work, he enjoys hanging with friends and going to the beach. Matt was born in Torrance but moved to Redondo Beach in 7th grade. He has always wanted a career in medicine, specifically cardiovascular surgery because that is what his mother does, but she guided Matt to veterinary medicine. Outside of work, Matt enjoys going to the beach and swimming, riding his skate board on the Strand, playing lacrosse, and hanging out with friends and family. Matt is the proud parent of a few beta fish.